Deployment of investigation tools allows for real-time municipal air quality monitoring. 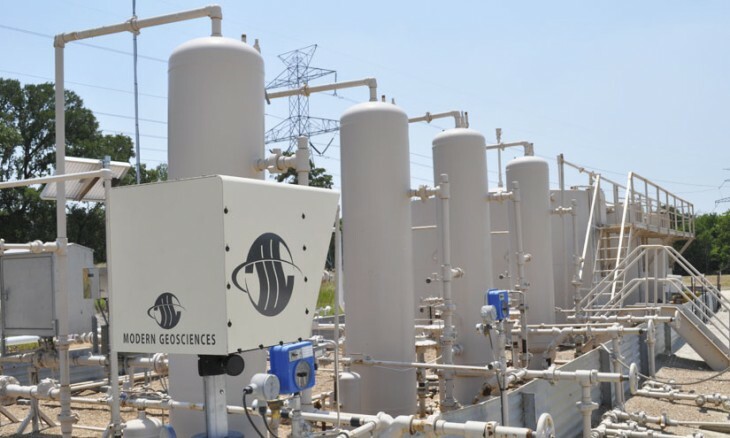 Modern Geosciences has worked with multiple municipalities on the implementation of site-specific and city-wide air quality monitoring programs. This has included ongoing monitoring for potential concerns from nearby urban oil and gas installations, industrial painting operations, and lead-related emissions. This may contain monthly deployment of ambient sampling points, surrounding area inspections and monitoring, or deployment of air quality instrumentation providing up-to-the-minute results remotely for weeks at a time. Modern has continued to customize the best available air quality monitoring equipment and methodologies to help our clients identify and address possible concerns before significant impact is allowed to continue. Reporting may be in the form of daily memorandums, electronic presentation on a project-specific website, monthly reports, or summation reporting which can be provided to the operator and/or regulating entity.